Cambridge Passacaglia (2012) for organ was commissioned by The Memorial Church at Harvard University for the dedication of the C. B. Fisk, op. 139 (2012) organ—the Charles B. Fisk and Peter J. Gomes Memorial Organ. 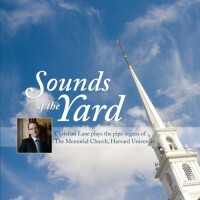 The work is dedicated to organist Christian Lane who presented the world premiere on Easter Sunday, April 8, 2012. The term passacaglia has generally been used to refer to compositions of a serious tone, constructed as continuous variations over a ground bass. After an improvisatory introduction, the ground bass is presented and subjected to eight variations, before the introductory material returns as part of a ninth variation to end the work. This work may be performed as a stand-alone composition, or it may be performed as a companion movement preceding Gloucester Estampie (2010).